The Contemporary Mediterranean home at 2377 Malcolm Ave., LA CA 90064 received a price reduction today of 5.57% or $100,000, down to $1,695,000. 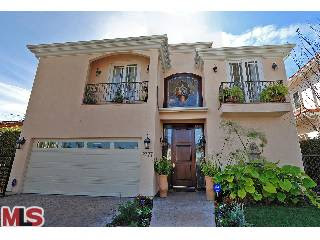 The property was listed on 2/11/09 for $1,795,000 and has been on the market 26 days. The home was custom built in 2004 and features an open floor plan, a gourmet kitchen with nice finishes and a good size backyard with a massive jungle gym playhouse for kids. According to the MLS, the home is a 4 bedroom / 3.5 bath, 3,974 sq ft home on a 6,615 sq ft lot.